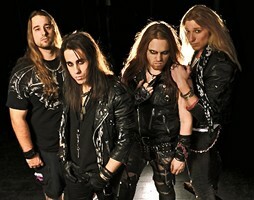 Last week Crazy Lixx announced that drummer Joel Cirera would be leaving the band, and now the Swedish rockers are looking for a new drummer to fill the spot when Cirera leaves at the end of 2011. In a recent posting the band states, “If you are a hard rocking drummer over the age of 20 don’t hesitate to drop us an e-mail. Tell us who you are and why you’d be perfect for the job. Don’t forget to attach (or link to) a photo of yourself and a recording of you playing drums, preferably a video.